This coming September 23, 2018 at 8:00 pm, Michael Bolton will perform for special one-night show at the legendary Andy Williams Performing Arts Center in Branson, Missouri. As one of the most anticipated concerts in Branson, you will hear amazing songs from one of music’s most iconic singers performs his biggest hits Live on stage this fall. Michael Bolton is one of the best-selling singers and recording artists who have reached the highest level of success and popularity that many haven’t achieved. He is idolized by millions of fans around the world and recognized by some of the world’s most prestigious organizations through his hit songs, chart-topping albums, and musical collaborations. Now, for this special concert in Branson this fall, it’s your chance to see this music superstar performing your favorite songs Live on Stage. This iconic singer will collaborate alongside some of the biggest names in music like Luciano Pavarotti, Ray Charles, Patti Labelle, and many other great singers. 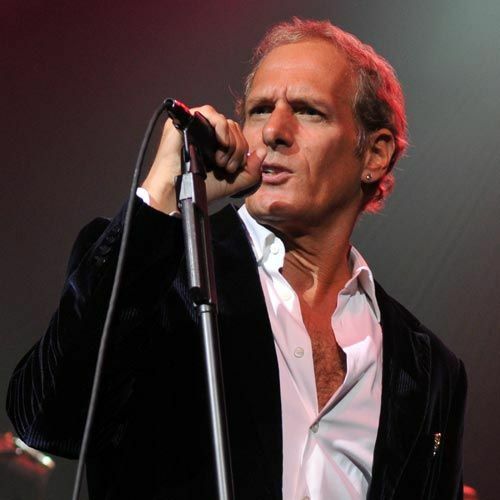 Michael Bolton has proven his musical versatility and great personality that is unrivaled. He has been in the international music scene for more than 30 years performing rock, pop, blues, soul, and recording some of the most powerful and popular ballads of all time. The two-time Grammy Award-winner topped more than one chart with the heart-wrenching “How Am I Supposed to Live Without You,” a song he co-writes with Doug James, and with his cover of the Percy Sledge masterpiece, “When a Man Loves a Woman”. Both these two records nabbed him a Grammy Award for Best Male Pop Vocal Performance. Bolton has gained more notable musical achievements which include American Music Awards for Favorite Pop/Rock Male Artist, Favorite Pop/Rock Album, and Favorite Adult Contemporary Artist. Having achieved 75 million album sales, dozens of chart-topping songs, TV specials, and worldwide tours – Michael Bolton remains as popular as ever. With dozens of singles and records to his credit and with his distinctive singing style and easily recognizable voice, that helped him become one of the most bestselling musical artists of all time. His fans from around the world flock to his concerts, with sold out tickets at some of the world’s largest stadiums, entertainment venues, theatres, and performance halls. Michael Bolton is no stranger to Branson as he has already performed in some of the town’s biggest venues including a special one-night show at The Mansion Theatre in Branson (home of the Oak Ridge Boys, Neal McCoy, and many others). After appearing many times at the Mansion Theater on sold-out performances, Bolton returns to Branson for a one-night concert this fall at the legendary Andy Williams Performing Arts Center (formerly the Moon River Theatre). This special one-night show is sure to be one of this year’s most popular shows in Branson – so you are encouraged to reserve your seats in advance due to limited availability. If you are a fan of Michael Bolton, don’t miss his concert in Branson on September 23, 2018 at 8:00 pm at the Andy Williams Performing Arts Center.